Just before Christmas, Es Devlin popped up on our radars again when she created the Singing Tree at the V&A. 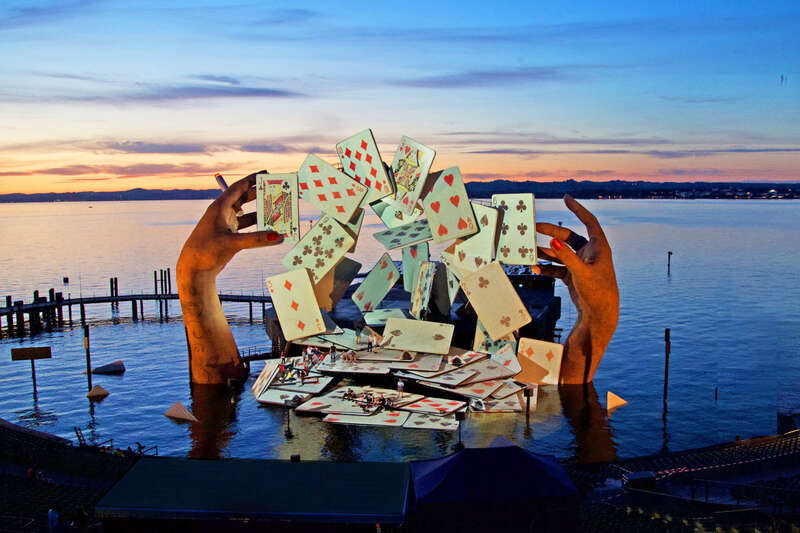 We’ve always been a fan of her kinetic stage designs and obviously we’re not the only ones. Es Devlin first started out creating stage designs for small theatres above pubs across London in 1997, constantly challenging herself and the surroundings she worked in, she moved onto well-known theatres across the globe. Her work can be seen in operas, dance and stage performance, as well as fashion, film and music. Her foray into the pop music world began after a partnership with Jake and Dinos Chapman brought her to Kanye West’s attention. Her music portfolio now includes clients like Beyonce, Muse, Adele, Jay Z, U2, Pet Shop Boys and Take That. She was also involved in London 2012 and 2016 Olympics. How’s that for a little black book?! 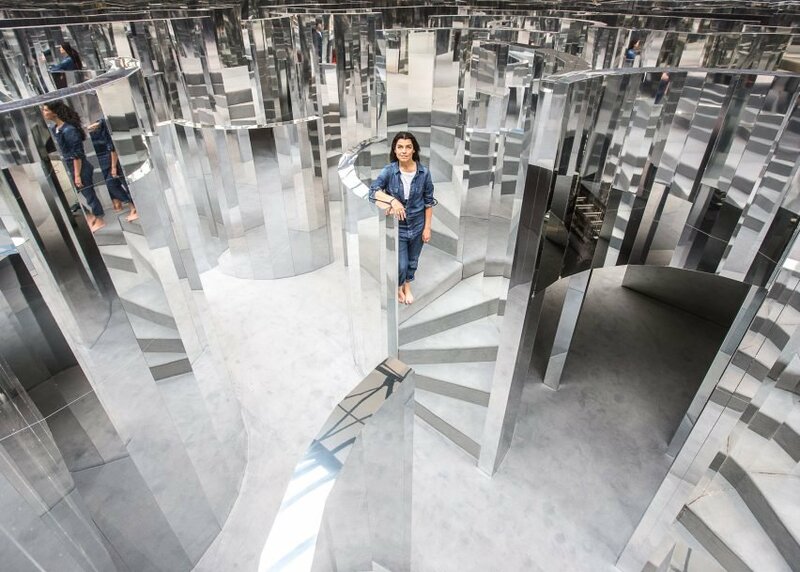 One of our favourite projects has got to be the Chanel and i-D Magazine installation, Mirror Maze, in a Peckham warehouse in 2016. Es Devlin has said on numerous occasions she wants to evolve her work so the visitor or audience can be part of the install, rather than observing it. The Mirror Maze was a start of this goal. The warehouse was split into four rooms linked by oval portholes, where guests could explore each area, following only their nose and the Chanel scent to guide them. The immersive environment allowed the scent to take over the experience – with your sense of smell being a much more powerful reminder, the concept was that the visitors wouldn’t visually remember their surroundings or the route they took in great detail, but instead would always relate the Chanel scent to that experience. Last year Es Devlin was awarded the London Design Medal, with previous winners including Paul Smith, Zaha Hadid and Thomas Heatherwick, she has continued to impress and demonstrates an outstanding contribution to London and the industry. Look out for her upcoming work this year at Girls and Boys at Royal Court Theatre, The Lehman Trilogy at National Theatre and with Louis Vuitton at The Louvre in Paris. If you like this blog, you’ll love our newsletter, sign up here.